Fine. No dust jacket as issued. Signed by author. Signed and dated 13/July/1999 on title page. Like New. As new clean tight and bright first edition first printing in as new price intact jacket. Please email for photos. Good in Good jacket. Signed by author on title page. First Edition, First Printing with correct number line to 1. Hardcover clean, light wear at spine ends. Interior clean and secure. Jacket has minor shelfwear, not price-clipped. Flat signed by author Lee Child on the title page. Not personalized. First Edition, first printing with full number line in near fine / very good condition. The pages are clean and crisp, in like new condition, with no bent corners. Boards are solid, and the spine is square and tight. The dust jacket is not clipped, but has a tiny bit of shelf wear. Remainder mark on the tail edge, and "Signed Copy" sticker on the DJ. Attractive book is in near like new condition. All items guaranteed, and a portion of each sale supports social programs in Los Angeles. Ships from CA. Near Fine in Fine dust jacket. 0593043936. Signed by Child on the title page. Mild tanning to the page edges. Continuing at loose ends after being separated from the Army, former MP Major Jack Reacher is down in Key West rather enjoying irresponsibility until a private investigator shows up looking for him. ; Signed by Author. Fine in Fine jacket. 0399144676 First Print. First edition. Signed by the author on the title page. NOT inscribed, clipped or otherwise marked. Dust jacket in protective cover and shipped in a box. Complete # line 10987654321. Fine+ in Fine+ dust jacket. 9.30 X 6.10 X 1.30 inches 419 pp; First Edition, Author Signed on title page, flat signature with no dedication. Book and jacket look new, this book comes protected in a clear mylar archival cover over the jacket. A very nice book! ; Signed by Author. Book. Large octavo; VG/VG; red spine with white and black text; jacket has protective mylar cover, not price clipped; boards are strong and clean; textblock is clean; pp 343; signed and dated by author on title page. Full-priced Rockville. 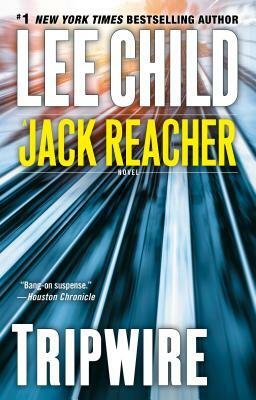 SIGNED and inscribed on title page by author, his third Jack Reacher thriller; fine in fine dust jacket, in mylar cover; a tight square unmarked copy in unclipped dust jacket; nearly as new, appears unread; a first printing with complete number line; includes written excerpt from author on title page. Fine condition. Uncorrected proof for limited distribution. Signed by the author on the title page.